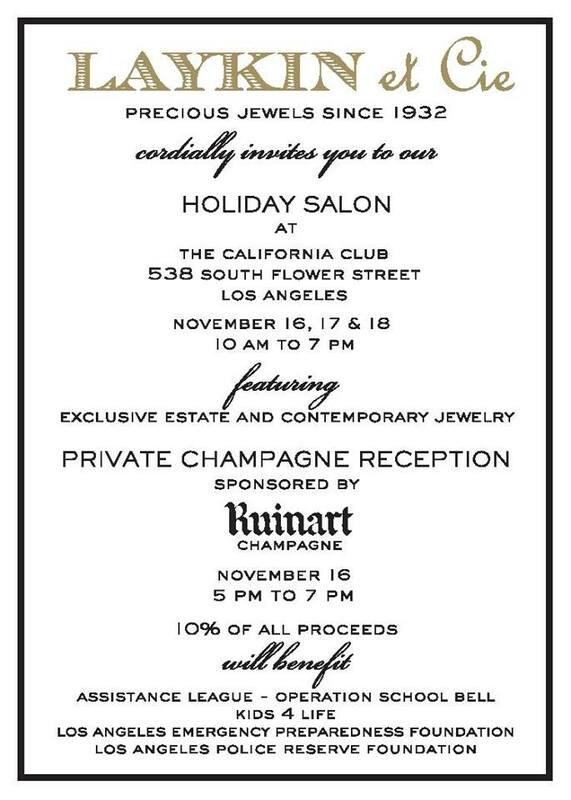 Please join us for the the Laykin et Cie holiday salon which will be held at the California Club this November 16 – 18, 2016. There will be a cocktail reception on the 16th. Laykin et Cie is one of the, if not the, preeminent California based jewelry companies in California and now the brand is being relaunched by their fourth generation member, Erik Laykin. Ten percent of all sales proceeds will be shared amongst four outstanding and local nonprofits – LAPRF being one of them. This will continue beyond the salon. Please do share with as many personal and professional contacts as possible so that we can make this event an extraordinary success. Please also do not hesitate to call 866-529-5467 or email info@laykin.com with any and all questions.